The AAE provides members with comprehensive resources to plan their careers and pursue their goals. Use the information below as a guide as you explore the AAE's career-related resources and opportunities. AAE members, get more exposure to potential employers on the Career Center. 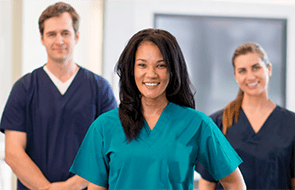 Whether you are looking for a new position, searching for the right candidate, or looking to sell your practice, make sure to start with AAE's Career Center. This exceptional resource will connect you with the people and information you need to achieve your goals. There are two unique login areas—for job seekers or employers—so make sure you are accessing the right area for your needs. Ready for your next career step? Browse postings and setup or revise your profile. Looking for your the right candidate? Review pricing, list new opportunities and manage existing posts. Looking for more information about this highly targeted resource? Benefit from information on types of practice settings, job hunting tips, employment contracting resources and other helpful tools to help you transition to the workplace or find new opportunities. These resources are a member benefit available to AAE members only. Explore the common categories and structures of practices. Review these tips for reviewing contracts. Understand and prioritize your professional and personal priorities. Review factors and resources to help you plan the launch of your practice. Be sure to consider these factors before making a change. Explore reasons to become an educator and tips for finding a position. Review reasons that practices may add associates. Push yourself to be the best endodontist you can be! Becoming a Diplomate of the American Board of Endodontics places you in a distinguished group of endodontists who have demonstrated exceptional knowledge and skill, dedication to continued professional growth, and a commitment to providing the highest quality of patient care.